Eurovision 2015: Which Fan Club will win this Time? I don’t remember a time in which I followed Eurovision Song Contest like now. I’m not a big fan of Eurovision for reasons that many might relate to. I generally view it as highly subjective, political and on top crowned by questionable voting methodology – good neighbors support each other – vote trading – as if trading CO2 emissions within European Union. This year’s Eurovision is an exception to my general rule of not following it. But my favorite Albanian singer, Elhaida Dani represents Albania in this year’s contest. I had no other choice, but to support her journey. I have to admit, I loved her song ”I’m Alive”, her incredible voice, humbleness, passion and youthful energy from the start. I found it incredibly catchy and I guess I wasn’t the only one. I hope her talent will be recognized and valued also at this Eurovision. 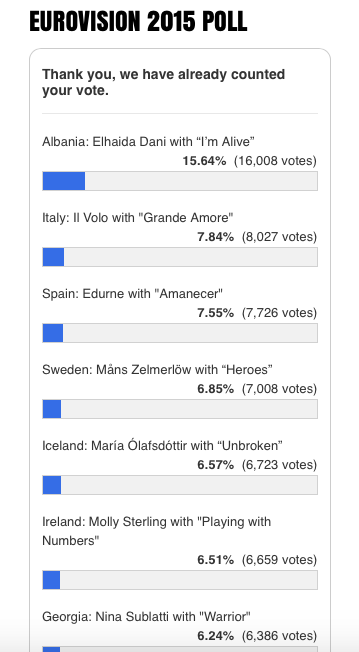 Poll: Who should win the Eurovision song contest 2015? Poll: Who is the best female vocalist at Eurovision this year? Analysts say: Men dominate the odds this year, plus Russia’s Polina and Serbia’s Bojana. I know, I know what Eurovision is mostly about when it comes to selecting the winner. Does the best vocal, the best performance or song always win? I am not sure. It’s all about daring of being different from ’’metal monsters’’ to transgender acceptance in our societies. It’s about embracing it, going around and screaming out loud ”Hey I’m different” – ”I should be the winner”. 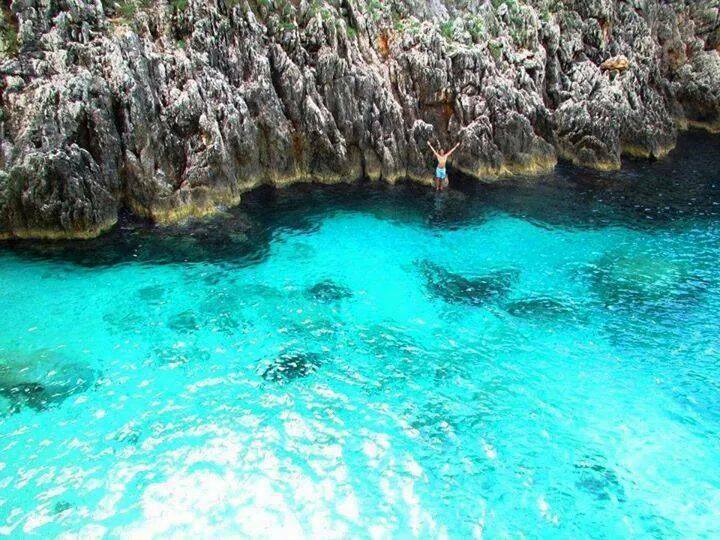 Previous Post20 Places that will change your Mind about AlbaniaNext PostGermany as Summer Destination?